Despite the immense popularity, Spider-Man movies weren't always seen as a project to greenlight. Once again, we look at the very successful Spider-Man movies. These films have cemented the character in modern pop culture. 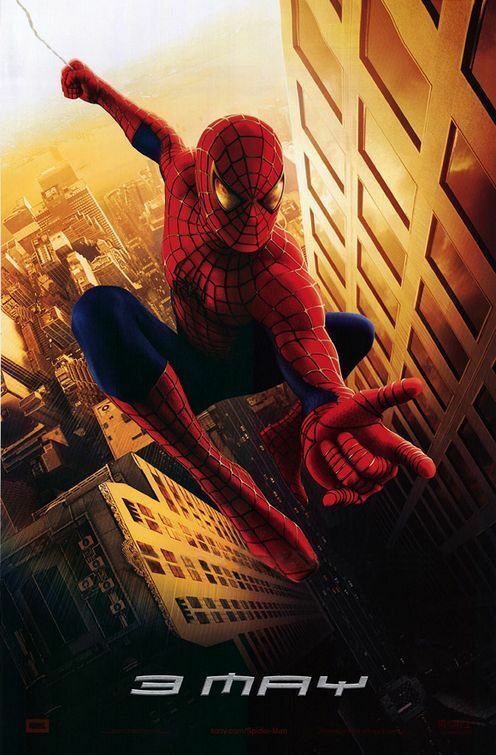 The first film, released in 2002, is often considered one of the most iconic films of the early 21st century, and the sequel usually in the top fives of best superhero movies. With these being massively popular with a large audience (large enough to still draw in crowds after two reboots and three different actors), it's no question as to why they still make them. But as with many other superhero films, the Spider-Man movie adaptations weren't always considered a surefire way to make easy money – I mean, come on, The Amazing Spider-Man 2 made a huge profit. For almost thirty years, several projects were started and canceled, planned and never produced, or just fell through due to the age old licensing issue. The earliest “film” starring “Spider-Man” was the infamous Turkish knockoff, 3 Dev Adam, wherein the evil Spider-Man fights Captain America and the Mexican wrestler Santo. It exists, it is not good, and it started the “Turkish remake” joke. This film actually preceded the 1977 TV series by four years, but if we're going to count it as an appearance of Spider-Man in a movie, then we're gonna have to say Jefferson Starship exists in Star Wars. Fast forward four years and with actual legal approval from Marvel, the 1977 feature-length pilot for the CBS live-action television program was aired as a TV movie. While never given a theatrical release in America, it was packaged as a full theatrical film by Columbia Pictures in foreign markets. Two other episodes were also put together and sold as a movie for the same overseas countries. This series is notable for starring Nicholas Hammond, who previously played one of the children in The Sound of Music. In 1978, a Japanese film was produced and released, also using a television series cast – though unlike the American ones, this was a complete spin-off, with a completely original story. It was based on the series produced by Toei, best known for the Super Sentai franchise) and only “Spider-Man” in the loosest terms – the entire character was reimagined and given a Sentai type robot to fight villains. Eventually, Marvel sold film rights to Cannon Pictures, the company behind Superman III. Unaware of what exactly a “Spider-Man” was, the producers hired a writer, Leslie Stevens, to write a body horror film, where Peter Parker is exposed to radiaton and slowly turns into a murderous human/spider hybrid. Creator of the character, Stan Lee, made it very clear upon reading the script that they had no idea what they were doing, and demanded a new team be brought on. This script was much more accurate, though instead of the radioactive spider, a machine made by Otto Octavius gives Peter his abilities. As this was considered a good compromise, the script went through a few rewrites, but by the time the film came around to needing a director, Cannon had lost quite a bit of money in producing Superman IV: The Quest for Peace and Masters of the Universe. The budget dropped, and once again the script was rewritten. Then upcoming star Tom Cruise was being considered for the title role. Production art and budgets were commissioned, though by 1989 it was looking like the film would not be made – and according to the original deal, they had until 1990. The budget was once again slashed, and it was becoming harder and harder to make a good film with not a lot of money. The deadline passed, and the rights were returned to Marvel, who then sold them off again. Not long after, James Cameron, then fresh off making Terminator 2: Judgement Day, was hired by new license holder Carolco Pictures to write and direct. His script was for a much darker, likely R-rated film. It was a 1990s style origin story, with Doctor Octopus and Electro as the main villains. One scene, often cited as a major issue with the script, involved Spider-Man and Mary Jane on the Brooklyn Bridge, in what can only be described as “Fifty Shades of Spider-Man.” However, not all was off the wall insane – Cameron came up with the idea of Peter Parker having organic webbing, a trait later used in the 2002-2007 Sam Raimi trilogy. The intention was for Cameron to make the movie between Terminator 2 and Titanic, but as he was gearing up for work on the historical epic, he was not available to work on Spider-Man, despite already having casting underway. Due to the production on this movie, the hit 1990s Spider-Man: The Animated Series was not allowed to use Sandman or Electro, though by the time of the series finale, they were granted permission to work Electro in. Carolco went under, and the rights were returned once again. Meanwhile, Marvel was bankrupt, and sold the rights once more to MGM. However, Columbia Pictures, who produced the 1977 series, made a deal with MGM in 1999 – in exchange for the rights to Spider-Man, MGM would be given the rights to the James Bond series. And from there, Columbia/Sony began work on what would become the 2002 blockbuster, Spider-Man. This does not include the canceled Spider-Man 4 that would have followed the Raimi trilogy, nor does it cover The Amazing Spider-Man 3 and the failed universe of films Sony wanted to make. But those weren't difficult to get off the ground, they were simply unproduced because of internal issues and controversies. Sony and Marvel made a deal that allows Marvel to use Spider-Man in their films, and Sony can make their own spin-offs, including a Venom film due out in 2018. And now, Spider-Man: Homecoming is receiving glowing reviews, many calling it the best MCU film so far. With several actors having played the part, and famous moments in film history throughout (the upside-down kiss in Spider-Man, the massive battle in Captain America: Civil War). The amazing Spider-Man will continue to be an feature of mainstream movies, especially with the resurgence in popularity. But now, it won't be a line of behind-the-scenes failure after failure, but rather successful productions that hold the place in the culture.